How can we support parents of sexually exploited young people? 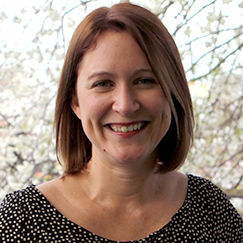 I’m Cassandra, Director of the Centre of expertise on child sexual abuse. My previous roles have included leading children’s social care policy for the Local Government Association and child sexual exploitation policy and strategy for Barnardo’s. More recently, I led the Barnardo’s policy, research, campaigns and public affairs functions, covering diverse subjects including early years, welfare reform and harmful sexual behaviour. Although a wealth of research has been published in relation to child sexual exploitation (CSE), to date there’s been limited focus on how to support the parents of young people who have been sexually exploited. Traditional approaches to CSE have tended to focus on children rather than young people and have supported the child in isolation, leaving guidance about parental support lacking. It makes sense to look at solutions in the context of the whole family – as the Troubled Families Programme does – and not just individuals, or individual problems, within it. How should practitioners approach parents about this issue? What role should whole family working play? How could support for parents be considered differently from support for a young person? At the Centre of expertise on child sexual abuse, we promote high-quality evidence of what works to prevent and tackle child sexual abuse and exploitation. Our most recent report, ‘How to support parents of sexually exploited young people: An evidence review’ draws together existing evidence to help those working directly with families. What are the key messages of the report? Their relationship with their child, and particularly understanding teenage development, what makes their child vulnerable, how perpetrators groom and control, their role as parents, and how parenting can help. Their own emotional needs, including dealing with the trauma of CSE, the impact of their own past experiences, and the parents’ relationships with each other. Dealing with systems, including understanding how police, legal and child protection systems work, and having someone who can advocate for parents. Building their resilience, including identifying sources of support in the wider family and community, and accessing the professional and peer support they require. As with families on the Troubled Families Programme more generally, our evidence shows that parents in this situation want respectful, honest relationships with professionals who have some appreciation of what they are experiencing. Parents want to increase their understanding and confidence in safeguarding their child, rather than to be blamed or stigmatised. Unfortunately parents are likely to experience serious stigma which, if not recognised and addressed, can get in the way of practitioners working effectively with them and their child. One of the biggest sources of distress for parents is their child not getting the help they need. Parents may be a helpful resource for practitioners to better understand a child’s background and needs. Therefore, support to parents needs to be provided in tandem with effective support to the young person, and the two should be integrated whenever possible. What does that mean for the way we work? Seeing parents as partners in safeguarding where appropriate. Taking a whole family approach, involving fathers as well as mothers, and addressing issues with adult-child and adult-adult relationships. Keeping a focus on outcomes, particularly the safety and wellbeing of children and young people. Making access to support as easy as possible. Planning support that is flexible and addresses the assessed needs of families. Applying a strengths-based perspective which recognises and values the resilience factors in families’ lives. Joining up support across agencies to avoid duplication and identify gaps in provision. recognise the ongoing trauma that parents are likely to experience, and how this may also trigger distress over past experiences of their own. be aware of the shame and stigma that they may feel, and challenge rather than reinforce this. appreciate how they can become isolated through trauma and stigma from family and friends, and help them recover and build new support networks. Many local areas may already have a number of approaches in place, but please do think about how you can reinforce the support services you already offer to capture some of the report’s findings. Given the multi-agency nature of any strategy to tackle sexual exploitation, please do also share this report with your partners as well as your wider team and the sexual exploitation lead in your local authority. By building support for parents into your CSE strategy, practitioners can help to strengthen the family unit, rebuild child-parent relationships and address the emotional needs of both. Do you have any examples of great work that’s been done by your team in this area? We’d be keen to hear about your experience of supporting parents of young people who are at risk of, have suffered from, or been exposed to, sexual exploitation. Please share your comments below about how you approached this support and any successes or challenges you faced in the process. You can find the full report here and there’s more information on the Centre of expertise on child sexual abuse website. What is the Centre of expertise on child sexual abuse? The Centre of expertise on child sexual abuse was established to help bring about significant and system-wide change in how child sexual abuse is responded to locally and nationally. The Centre identifies, generates and shares high-quality evidence of what works to prevent and tackle child sexual abuse and exploitation, to inform both policy and practice. It is funded by the Home Office, led by Barnardo’s, and works closely with key partners from academic institutions, local authorities, health, education, police and the voluntary sector. -	Just targeting the parental-child relationship in the context of ongoing inter-parental conflict does not lead to sustained positive outcomes for children. These two agendas come together in that parental conflict leaves children more vulnerable to outcomes such as CSE, offending, substance misuse.